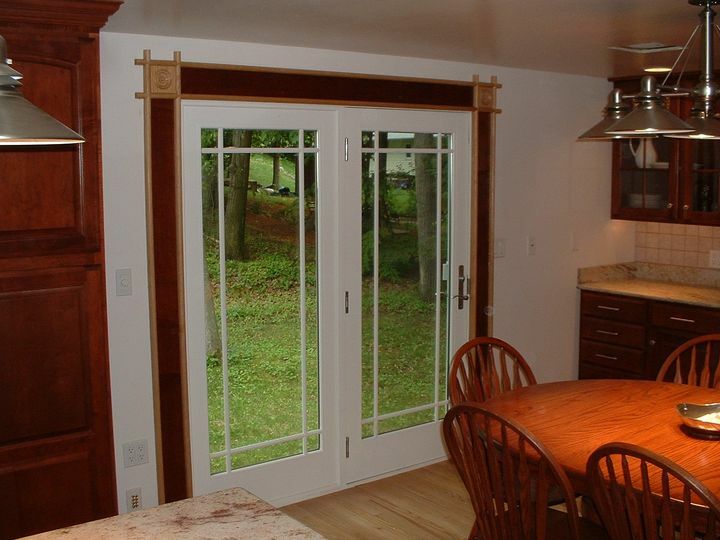 As part of an extensive kitchen remodel in Nashua, NH, all new doors and windows were installed. The customer requested 'something different' when it came time to install the trim around the doors and windows. I drew some sketches and this is what he chose. The light colored part of the trim is red oak with clear polyurethane applied. The dark area in between is from 1/4" plywood prefinished Maple Rouge to match the cabinets.